What is Office 365 QuickStart? Stratum Now’s Office 365 QuickStart solutions are a fixed-priced, fixed-scope catalogue of outcome-based consultancy products that are easy to consume, purchase, and schedule. With engaging instructor-led educational sessions combined with post-session consultation and guidance, QuickStart rewards your team by getting them started immediately on their journey of using Office 365 effectively. The catalogue is organised into four business solutions to get users integrating digital technology into their daily work. Details of the sessions within Get Started, Get Collaborating, Get Productive, and Get Leading are below. Using the Discover stage of the process, included with every product, you can assess which users would benefit the most from the topics covered in each session of the applicable series. The digital world is changing rapidly, and digital transformation is only possible with digital enablement. Stratum Now offers a series of high-level introductory sessions that familiarise new users with key Office 365 features and functions, empowering users with the confidence and skills they need to get the job done. All new Office 365 users (migrated and new hire). Familiarises users with the navigation and functionality of Office 365, with a focus on key features and online versions of applications and services. The goal is to build the workforce’s confidence as they begin using their Office 365 solution. Office 365 users new to using OneDrive and SharePoint for file storage. Gives users a fundamental understanding of OneDrive and SharePoint, with key use cases and differences for each solution. The goal of this course is to give users confidence in organising, sharing, and controlling their files in Office 365 storage solutions. The new digital workplace has created unrealised opportunities for teamwork within organizations. Stratum Now’s solution-based sessions enhance team efficiency and effectiveness by using real-world examples to promote best-practice collaboration and communication techniques in Office 365 anytime, anywhere. All Office 365 users that collaborate with coworkers. Guides users through the powerful collaboration and communication capabilities of Teams and its integration across Office 365 applications and services. The goal is to enable efficiency in the workforce and unlock the value of Teams. All Office 365 users who work with shared documents and projects. Explores strategies for small, dynamic teams working on small scale projects, with an emphasis on managing files and deadlines as a decentralised group. The goal is to enhance document and light project management capabilities with Office 365 enabled asynchronous collaboration tools. All Office 365 user that work with and communicate with others. Streamline local and remote workforce communications by utilising powerful Office 365 communication applications and features. The goal of this session is to enable users to identify and use the right Office 365 communication tool, at the right time, for the right audience. All Office 365 users who collaborate with others. Enhances collaboration between coworkers through file management, real-time communication, and co-authoring in Office 365. The goal is to equip employees with strategies that boost productivity and create a more efficient workplace. Realise your personal and professional potential. Stratum Now’s Productivity & Potential sessions equip employees with the confidence and capability to integrate Office 365’s powerful digital solutions into their workday, improving personal work organisation, communication, and maximising productivity. All Office 365 users seeking to improve their professional organisation. Enables users to take control of their digital work life using key organisational features of OneDrive, OneNote, Outlook, and other parts of the Office 365 suite. The goal is to empower users to realise their professional potential by improving personal work organisation. Office 365 users who lead or participate in small teams with task and small project related work. Guides users through organising and delivering small team projects and managing tasks using integrated solutions within Office 365, such as SharePoint, Teams, Planner, and Flow. The goal is enable users to effectively manage tasks and projects to successful outcomes. Office 365 users seeking to gain familiarity with the basic presentation tools within the Office Suite. Familiarises user with the basic presentation tools available within the Office 365 suite, including PowerPoint, Word, Publisher, Excel, and Stream. Learn to use these tools to create effective and powerful presentations for communication. Focused and cohesive workforces drive company growth and innovation. Stratum Now’s Leading Effectively sessions connect company leaders with powerful digital strategies for managing teams, engaging employees, and fostering a culture of open communication. Transform your digital workforce. Office 365 users seeking to better engage employees. Enable team leaders to improve employee and team engagement, from field workers, to employees, to first-line workers, to those in the same office, using key tools in the Office 365 suite. The goal is to enable team engagement that generates higher productivity and employee satisfaction. Office 365 users with managerial, supervisory, or team lead responsibility. 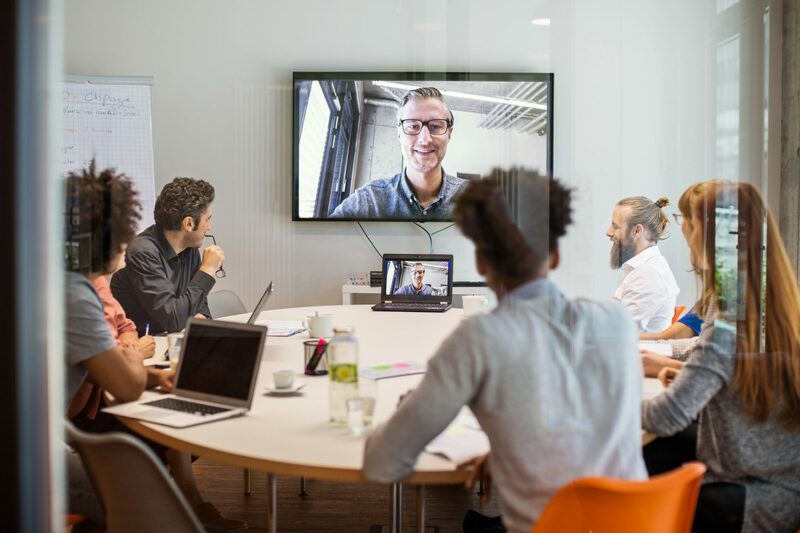 Session will enable those with leadership responsibility to use Office 365 tools to manage schedules and tasks, organize workflows, and encourage collaboration to help efficiently and effectively manage their workforce. Additional QuickStart Solution packages with additional resources are available. Custom-designed solutions for larger, on-going engagements are available through Stratum Now’s Tailor-made Solutions. For more information, please contact us.